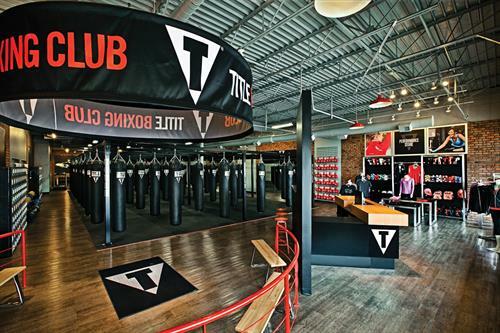 TITLE Boxing Club offers explosive total body boxing and kickboxing fitness workouts. Called the POWER HOUR, these group fitness classes capitalize on the training of profess...ional boxers, kick-boxers and mixed martial artists. Members can join others in these group fitness classes led by pros that target the whole body. Start with a 15 minute warm-up, and then put on the gloves for eight three minute rounds of punch and kick-punch combinations followed by a core abdominal work and cool down. There?s simply nothing else like it if you really want to HIT IT HARD® and get in the best shape of your life. The first shot is FREE so you've got nothing to lose but pounds and inches!